Have you ever felt something inside pushing you to be more? That inner voice questioning if this is enough? Those thoughts and those dreams going all haywire? If yes, then its time you explored the real self and started channeling those thoughts, that energy inside to be everything by being just you. 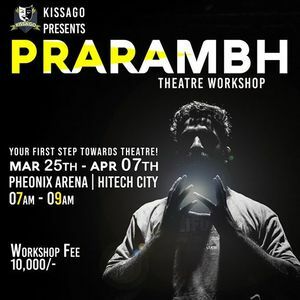 Yes we at KissaGo are conducting Theatre Workshop for all those who want to channel their emotions or that crazy energy into right place. let's together be at a place which provides the immediate gratification, a place which challenges how we think or function and encourages us to fantasize about the world we want to live in. 5. Body language, posture, facial expressions & gestures. Age Limit - 15 years and above. 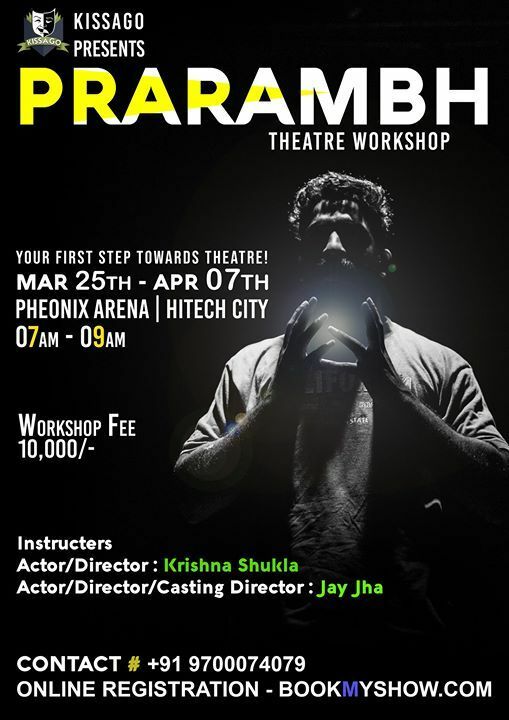 Fees - Rs 10000/- per head.